A year ago, everyone was buying an Amazon Echo. Here’s how Google turned the tables. That’s almost the world we live in today, thanks to the dramatic early success of Amazon’s pioneering smart speaker and the surprisingly capable digital assistant that animates it. Almost, but not quite. It’s true that voice-powered smart speakers are on the path to ubiquity: Analysts predict that most U.S. households will eventually have one. But at a time when sales are booming around the world, it’s becoming clear that Amazon’s first-mover advantage wasn’t built to last. While there are no official sales figures, mounting evidence suggests that Echo devices have been losing ground in the past year to competitors on multiple fronts. Assemble the pieces from an array of market-research reports with different methodologies, and the picture is that of a rapidly shifting landscape in which no single company is likely to dominate long-term—but if anyone does, it might be Google. That matters not only to industry watchers and investors but to anyone who cares about the business models and privacy practices of the tech goliaths that mediate what we say, learn, buy, and do. Amazon, Google, and Apple don’t report sales of the Echo, Home, or HomePod, respectively, preferring to shelter them from investor scrutiny by lumping them into categories such as “Other Products” when they report earnings. What we know of their sales, then, comes largely from third-party market-research firms, plus tidbits and hints that the companies occasionally drop. The market-research firms’ estimates can vary, sometimes widely, based on their methodology. • Google Home devices are rapidly catching up to Amazon Echo devices in worldwide sales and may have already surpassed them. • Apple’s HomePod isn’t selling as poorly as some initial reports suggested, and Samsung just launched its own smart speaker. • China is the fastest-growing market for smart speakers, and neither Amazon nor Google is a significant player there. The common thread: Alexa is losing its edge. And the obvious question: What happened? 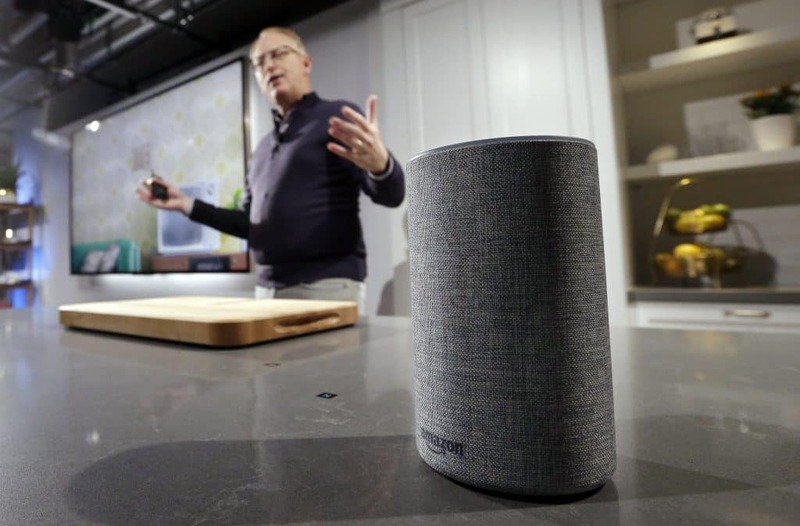 As recently as a year ago, Amazon single-handedly controlled the global smart speaker industry, with a market share upward of 75 percent, according to estimates from two of the leading market watchers, Strategy Analytics and Canalys, based in Singapore. Amazon itself boasted in a February earnings report that it had sold “tens of millions” of Echo devices in 2017. That figure included not only its flagship Echo smart speaker but the Echo Dot, Echo Show, and other Echos, the company clarified to me (though not other Alexa-powered gizmos, such as the Tap or Fire TV). It makes sense that Amazon was crushing the competition because there wasn’t much competition yet: Google had just launched the Home in late 2016, and Apple’s HomePod was not yet on the market. The Echo has been available since 2014. Would-be rivals faced an uphill struggle. Amazon’s head start in smart speakers resembled the daunting leads that Apple famously built in portable MP3 players, smartphones, and tablets. But Apple’s high prices at least gave competitors an opening to build cheaper alternatives for the mass market. Not so with Amazon. Because it viewed Echo partly as a path to Amazon purchases, the company sold its smart speakers at affordable prices, opting to maximize sales rather than profit margins. How could latecomers compete? As recently as a year ago, Amazon single-handedly controlled the global smart speaker market, with a market share upward of 75 percent. Yet visions of an Amazon smart speaker monopoly faded faster than almost anyone expected. Google, in particular, has been catching up in a hurry. That could be partly because its Assistant is “smarter” than Alexa, by some metrics. But the Echo is more capable in other respects, and it continues to be a top-rated device in the category. Analysts say the secrets to Google’s success lie elsewhere. A big-budget marketing blitz, an aggressive push to partner with retailers and makers of smart home gadgets, and the company’s reputation for answering search questions got it off to a good start. It didn’t hurt that the company was also pushing the Google Assistant—its equivalent of Alexa—onto hundreds of millions of Android devices. Perhaps most importantly, Google has experience, partners, and language capabilities in overseas markets where Amazon is less established. Oh, and perhaps you’ve heard that brick-and-mortar retailers aren’t big Amazon fans. 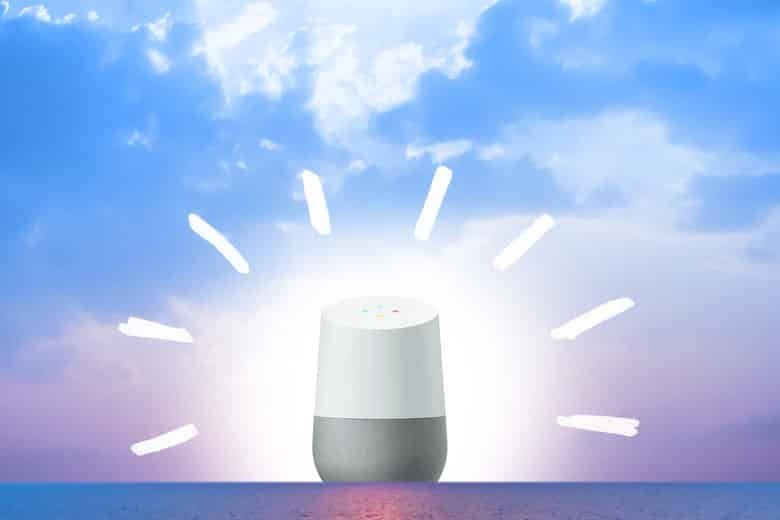 “Retailers are more open to the idea of arranging Google’s smart speakers because Google isn’t seen as such a direct competitor,” said Vincent Thielke, research analyst for Canalys. By early this year, according to multiple industry reports, the tide was turning in Google’s favor. One firm, Strategy Analytics, estimated this month that Amazon’s global market share dipped from 76 percent to 41 percent over the past year, with Google’s rising to 28 percent. The firm projects Google’s smart speaker sales to surpass Amazon’s by 2020, said Bill Ablondi, director of smart home strategies. For Amazon, those numbers would be ominous enough. But Canalys reckoned in an Aug. 16 report that Google has already eclipsed Amazon in quarterly sales. It’s worth noting that Canalys counts devices shipped to retailers, even if they haven’t yet been purchased by consumers. Canalys derives its estimates partly from suppliers, vendors, and other third parties, while Strategy Analytics relies on sources within the companies that make them. A third report, from the news and research site Voicebot, used consumer surveys to estimate how many users each firm’s smart speakers have. It found that 62 percent of U.S. smart speaker owners had an Amazon Echo, while 27 percent had a Google Home, as of May. That methodology favors Amazon by counting devices purchased in the past. But even there, Google was rapidly gaining ground, tripling its market share in the first half of 2018. While Google appears to be beating Amazon at its own game, Apple is playing a different one. Its HomePod starts at a cool $350, compared to $100 for a Home and $85 for an Echo, and aims at audiophiles with the promise of hi-fi sound quality. Early reports of lackluster HomePod sales have dampened enthusiasm, but both Voicebot and Strategy Analytics said it’s too soon to write off Apple as a serious competitor. The former put Apple’s second-quarter market share at 6 percent, enough to dent both Amazon and Google’s growth. More competitors are looming: Electronics giant Samsung has just launched its Galaxy Home smart speaker, and a bevy of audio companies are gradually getting in on the game. Meanwhile, smart displays are emerging as an alternative to audio-only speakers, and Facebook is working on a device called Portal that could focus on video calling. In the long run, though, it isn’t just Silicon Valley that threatens Amazon’s smart speaker lead. It’s China. A year ago, pundits were wondering why smart speakers weren’t catching on in China. No one’s wondering that anymore: It is by all accounts the fastest-growing market for smart speakers. And virtually none of that growth is going to Amazon or its U.S. rivals, which don’t offer Chinese-language versions. It’s going instead to Chinese giants such as Alibaba, Xiaomi, and Baidu, which are pumping out smart speakers that go for a fraction of the price of the Echo or Home. These aren’t just cheap knockoffs, either. At CES this year, Baidu showed off high-concept smart speakers that look like lamps, ceiling lights, or even a colorful stack of blocks. Amazon and Google’s devices look outdated by comparison. The smart speaker wars aren’t just an industry story. Yes, these firms are vying for slices of a sales pie that could top $23 billion by 2023, according to Strategy Analytics (or $30 billion by 2024, according to Global Market Insights). But smart speakers, like smartphones, aren’t just about the hardware. They’re about the platform that powers them—in this case, the voice A.I.—and how it shapes users’ behavior. When you buy an Echo, you’re paying Amazon $85 today. But it also gives you a strong incentive to pay it $120 a year for Amazon Prime, and perhaps another $80 per year for Amazon Music Unlimited. On top of that, it makes it very easy to buy things on Amazon and plays nicely with other Alexa devices like the Fire TV. Purchase a Google Home, on the other hand, and it will fit right in with Chromecast, YouTube, your Gmail and Google Calendar, and the Google Assistant on your Android device. A HomePod will deepen your relationship with Siri and iTunes, and so forth. And all the time, whichever A.I. assistant you choose will be getting to know you intimately—not just your voice and your way of speaking, but your habits and preferences. In a blog post this week, Google vice president of engineering, Scott Huffman, reported that queries of Google Assistant tend to be action-oriented, like “Turn on the lights and play some music” or “Create an appointment for noon on Saturday.” Google, whose business revolves around targeted advertising, already knows what we’re searching for on the web and what we’re doing on our Android phones. It would love to know what we’re up to in our kitchens and living rooms too. So an Echo-filled world would expand Amazon’s retail empire; a Home-filled world would broaden Google’s surveillance network and feed its A.I. ; a world of HomePods would keep people ensconced in Apple’s ecosystem (especially if they’re well-off). And one shudders to think what a world of Facebook Portals might do. (Rumor has it the company delayed the device’s launch due to the Cambridge Analytica scandal.) The only darker scenario might be one in which the censorship-friendly Chinese tech companies ultimately prevail. That Amazon no longer looks poised to monopolize smart speakers might reassure critics wary of its online retail dominance. But the prospect of Google’s dominance should give privacy advocates pause. What we have for now, thankfully, is a hotly competitive industry—the kind that is unlikely to give rise to any proprietary eponyms at all. Amazon is in a better position than any other company to dominate ambient computing, the concept that everything in your life is computerized and intelligent. Amazon’s Alexa platform continues to get better while remaining open to third parties, unlike Apple’s Siri. Buying into Alexa now will future-proof your home. Almost four years ago, New York Times tech columnist Farhad Manjoo wrote out a strategy to keep all your technology future-proof in a rapidly evolving environment. His advice still holds up. Use Apple hardware for your smartphone and PC. Use Google services for things like email, calendar, and maps. Buy all your digital music, movies, and TV shows from Amazon. Of course, there are caveats to all of these suggestions, but you’ll future-proof yourself nicely by following them. Amazon’s media can (usually) play on all your devices, no matter what company makes them. Google is not only the best at digital services, it’s also platform agnostic. You don’t have to be an Android user to get the most out of Google. And Apple still makes the best phones, tablets, and PCs you can buy. But I think it’s time to add one more category to the list: ambient computing, or the concept that there can be a layer of intelligence powering everything in your home from your lights to your thermostat. 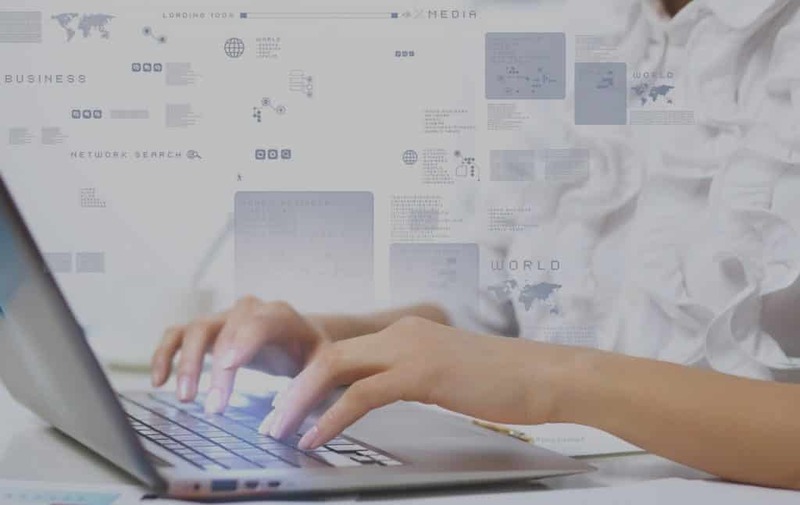 Many see this as a new phase of computing where our technology works for us automatically. We’re in the early days of ambient computing, but there’s already a clear front-runner powering its future: Amazon Alexa. Right now, Alexa is great at answering basic questions or playing music from streaming services like Spotify. It’s also laying the foundation for an Alexa-powered smart home as more and more accessories make themselves compatible with Amazon’s platform. Even better, Alexa lets you control all your smart home accessories with your voice, which is a lot more convenient than poking around your iPhone to turn your lights on. I gave it a try a few weeks ago, starting small by connecting most of my lighting. I bought a bunch of Wemo smart plugs for all the lamps in my apartment. (My apartment doesn’t have a lot of built-in lighting, so I have lamps all over the place instead.) After setting each plug up, I fired up the Alexa app and added the Wemo skill. A few seconds later, I was able to control all my lights with my voice. No other platform is better poised to dominant ambient computing. It’s not going to happen tomorrow, or even next year, but Amazon has done an incredible job of laying the foundation for something much more profound beyond just playing your favorite Pandora station with an Alexa command. So what is that foundation? Here are the four key advantages that will propel Amazon to dominate ambient computing. During CES this year, I was shocked at how many companies decided to integrate Alexa into their products. Toyota and Ford cars. Kholer bathtubs. Whirlpool ovens and dishwashers. And a bunch of third-party speakers. Ambient computing needs a voice assistant to be ubiquitous in order to be successful. If you call for “Alexa” and it’s not there to do what you want, it has failed. Amazon’s head start getting Alexa into everything, everywhere will help it maintain its lead. Part of the reason why Alexa is showing up everywhere is because Amazon turned it into an open platform that anyone can build into. But it’s not just physical appliances. Services and apps can build into Alexa, making it easy to add a layer of voice controls to their stuff. It’s the opposite approach rivals like Apple take, which is why devices like the HomePod feel like a wasted opportunity to take on Amazon’s dominance. Siri is limited to Apple’s own services and a few other third-party categories like messaging and to-do list apps. It’s unlikely Apple will want to go against its DNA and completely open up Siri. Amazon already owns two-thirds of the smart speaker market, with Google playing catch up. It’s likely going to be a two-horse race between the two companies, with Amazon consistently in the lead. The large install base of Echo and Alexa-powered smart speakers provides greater incentive for people to build into Alexa first as opposed to rivals. When the Echo first launched back in 2014, it couldn’t do much more than play streaming music from Amazon and help you buy stuff from the company’s online store. You know what’s coming next. Over the years, the Echo has become immensely more powerful and capable. It can stream music from a variety of music services. You can use it to call an Uber or order a pizza from Domino’s. It can even make phone calls. Amazon has done a spectacular job at improving the Echo over time. These are speakers you’re likely to keep in your home for several years before replacing or upgrading them. Buying one now guarantees you’ll be ready to go for whatever Alexa learns to do next. And, more importantly, it’ll make sure your technology remains future-proof.